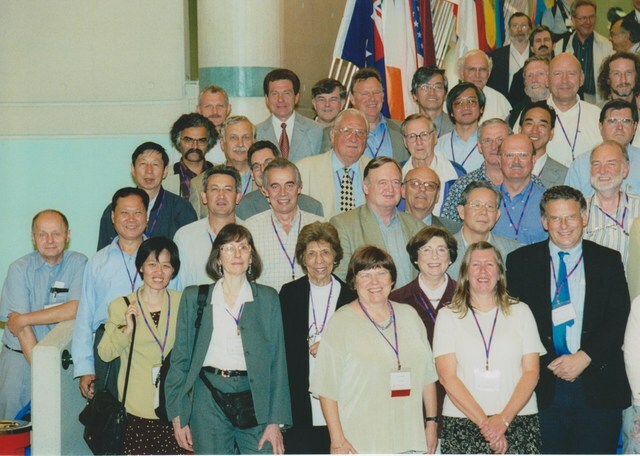 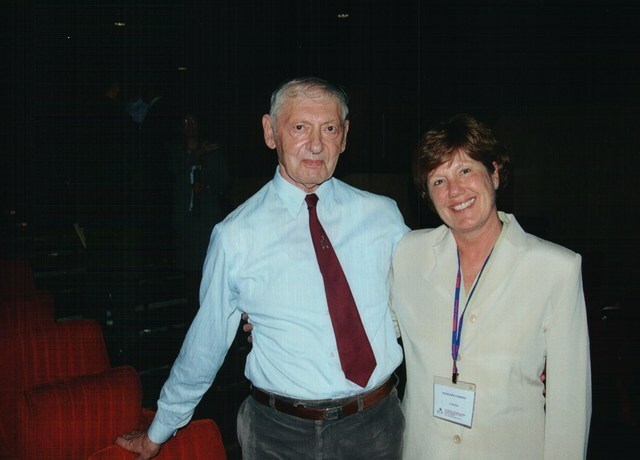 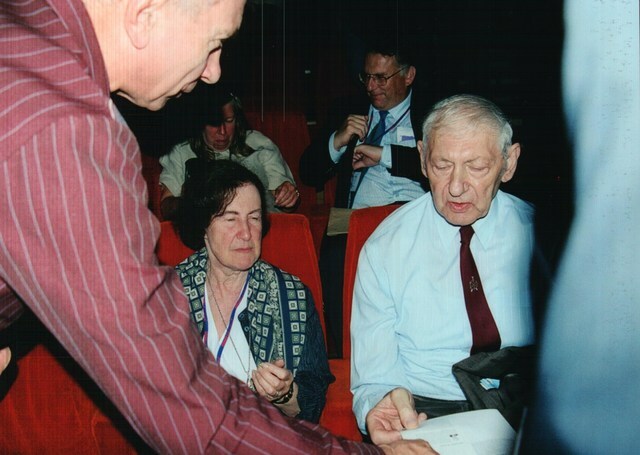 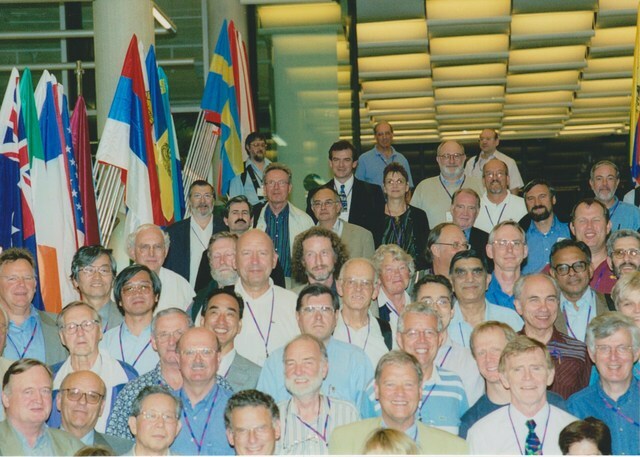 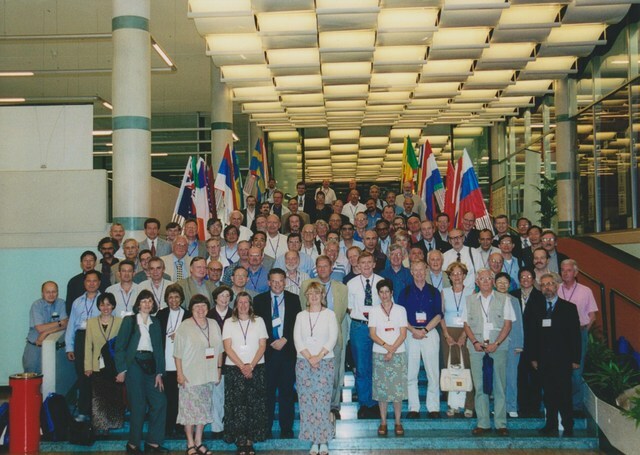 Michael Woolfson (left) is awarded the sixth Ewald Prize at the Opening Ceremony of the 2002 IUCr Congress in Geneva. 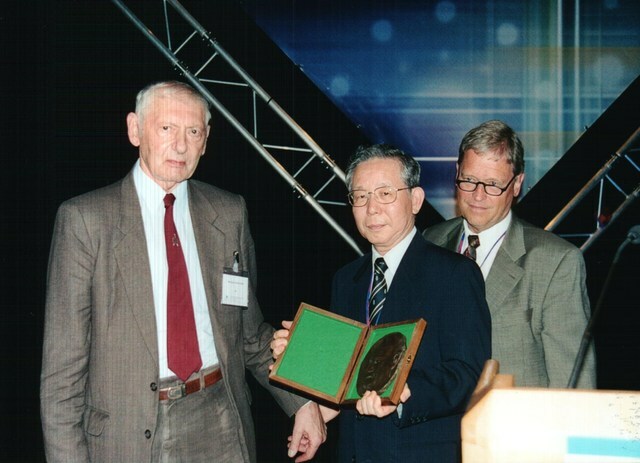 The Prize is presented by IUCr Vice President M. Tanaka; outgoing President Henk Schenk is on the right. 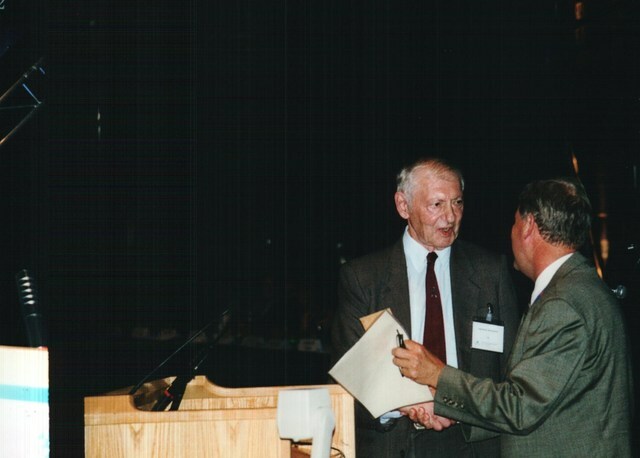 Michael Woolfson (left), Henk Schenk (right). 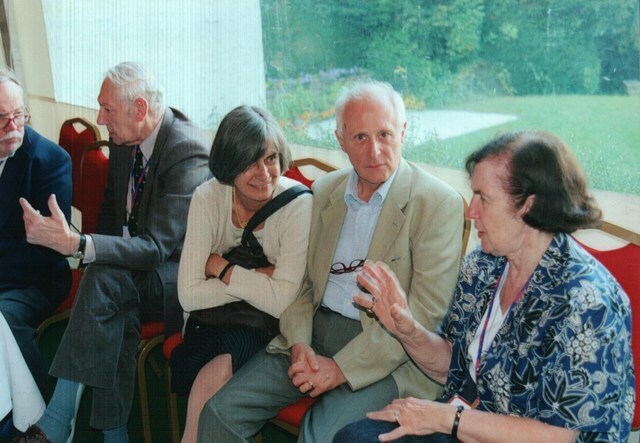 Seated in front: Michael Woolfson (right) and wife. 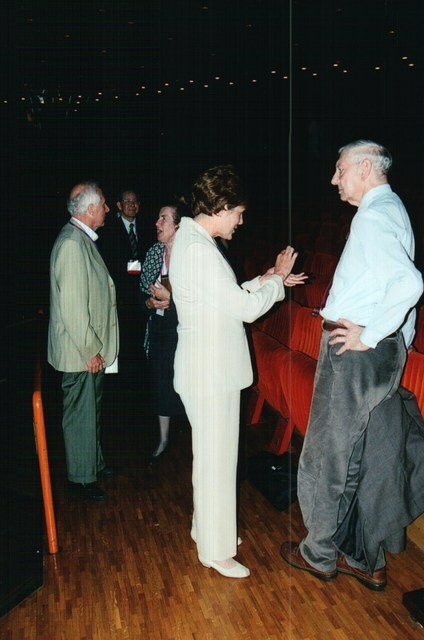 Behind: Anne Cawley, Mike Dacombe. 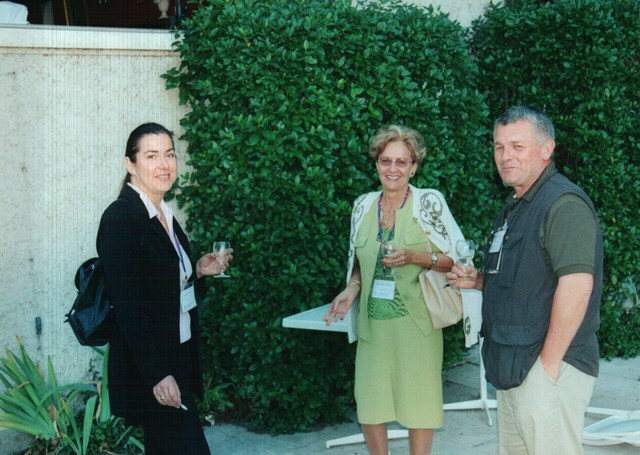 Davide Viterbo (left), Penny Codding, Michael Woolfson (right). 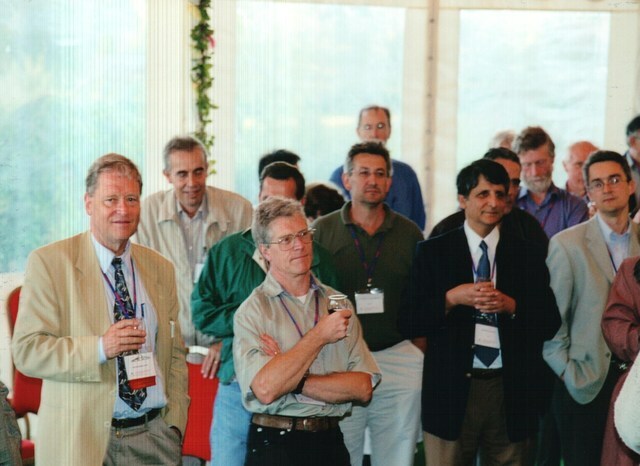 Davide Viterbo, Samar Hasnain, Gerard Bricogne, ?, Michael Woolfson. 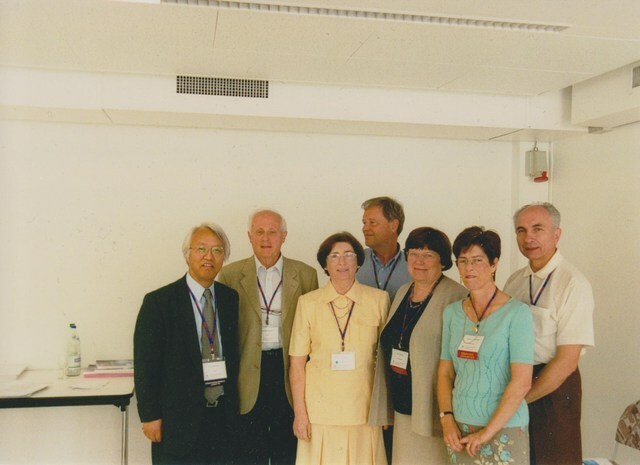 Yuji Ohashi, Davide Viterbo, Iris Torriani, Henk Schenk, Sine Larsen, Maria Armenia Carrondo, Leonid Aslanov. 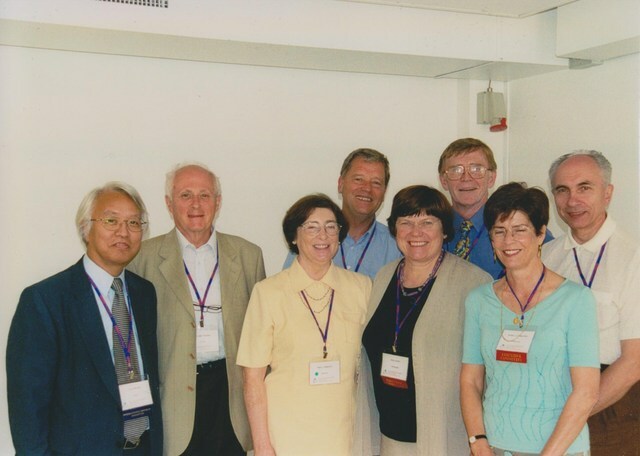 Yuji Ohashi, Davide Viterbo, Iris Torriani, Henk Schenk, Sine Larsen, Bill Duax, Maria Armenia Carrondo, Leonid Aslanov. 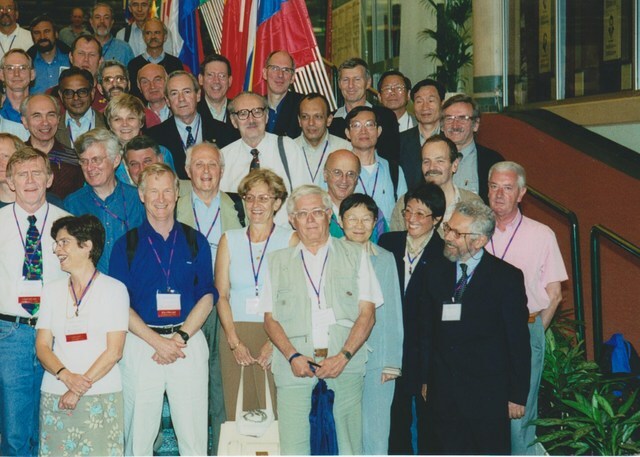 V. I. Simonov (left), Theo Hahn (fourth from left), Gervais Chapuis (foreground), M. Vijayan (third from right). 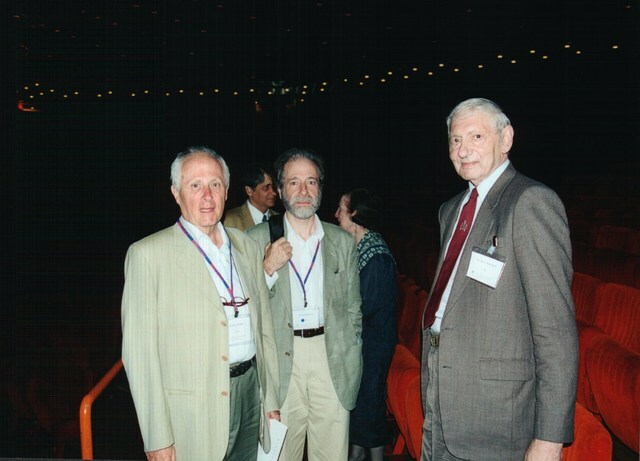 Front row: Claude Lecomte, Hans Grimmer, A. I. Craievich, I. David Brown. 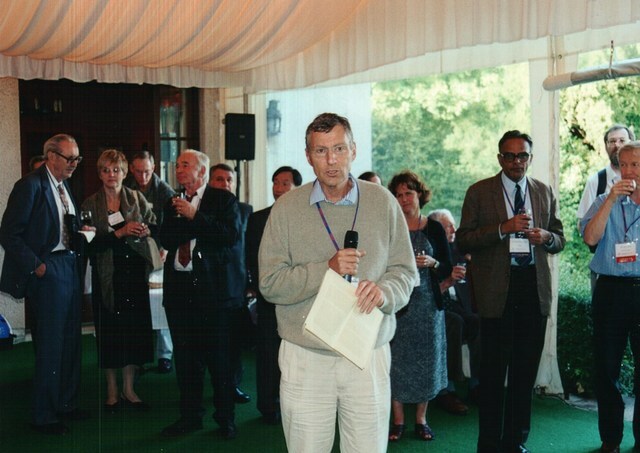 Left: Bill Clegg, Samar Hasnain. 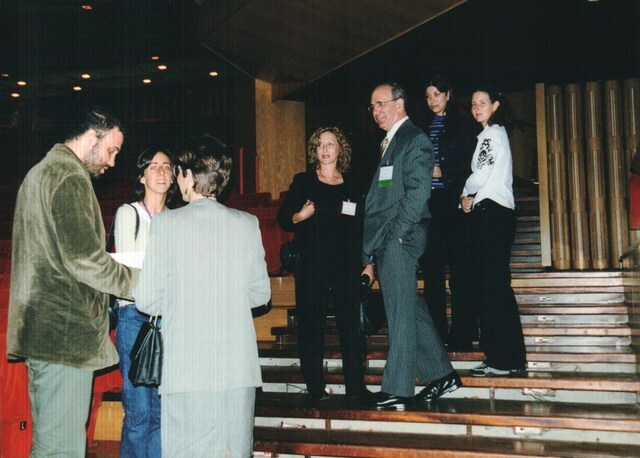 Centre: Graciela Punte. 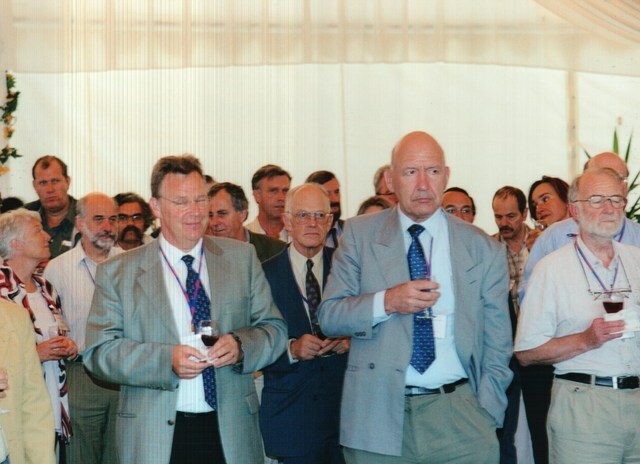 Foreground: Henk Schenk, Bill Clegg. 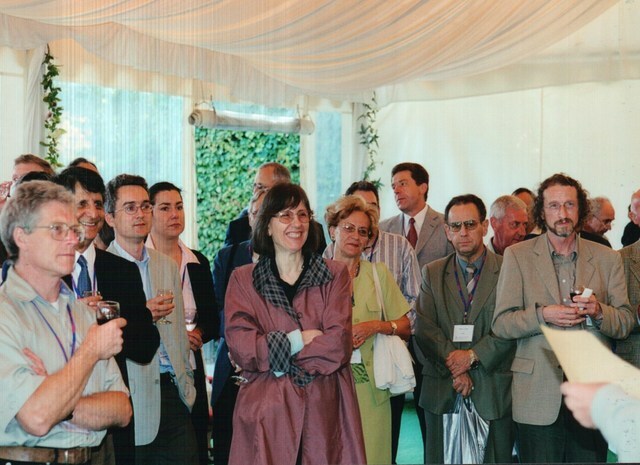 John Barnes, Michael Woolfson, Mrs and Davide Viterbo, Mrs Woolfson. 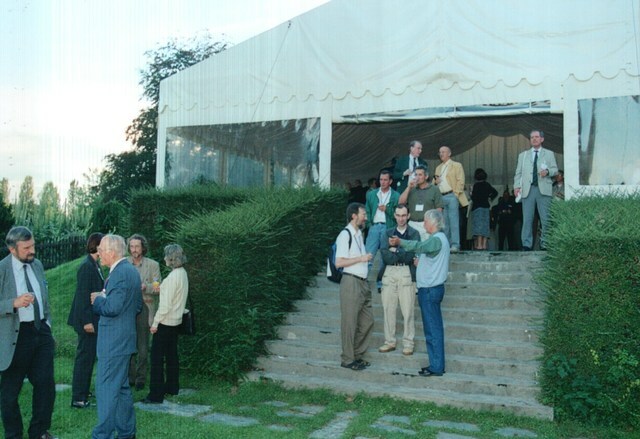 Foreground on steps: Brian McMahon, Lachlan Cranswick, David Watkin.